In today’s competitive world, the only thing that is constant is change. As a result, creative capacity is the key. Creativity has become a topic of ever-increasing interest in educational settings. Like it or not, teachers serve as the metronome in the classroom. The meter and behavior established by them set the patterns and establish the models for students’ behavior as individuals and as a group. Thus, there is a need to identify the role of teacher leadership behaviors for students’ creativity. The purpose of this article is to propose possible approaches to facilitate creativity in the classroom, especially with the emphasis on leadership perspective. First, the definition of creativity is discussed. 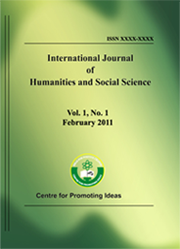 Then based on the literature, several strategies and ideas of promoting creativity are reviewed. Next, a possible model is proposed, including knowledge, creative thinking, motivation and self-efficacy, goal setting and work group, transformational leadership, and supportive leadership. With each component, several propositions are also provided. Finally, the implication of this model is described.